BadgePass has a rich history in Mississippi. 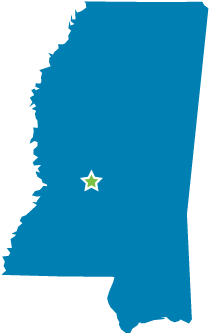 Our corporate branch opened in 1976 as Mississippi Impression Products. As the identification industry evolved, so did our business model. In the early 1990s, we began promoting the first desktop card printers, operating as ID Group, Inc., and helping local businesses produce credentials more efficiently than ever before. We began selling other credential based applications including electronic door access, visitor tracking systems, time and attendance and more. Our customers provided feedback, explaining that they were looking for a better system for complete credential management. As a result, our journey as a software development company officially began. Our mission today is the same as it was back then: to revolutionize the identification industry and provide our customers with the best solutions in credential management. In 2015, we acquired the TotalCard product, expanding our product offerings deeper in the college and university market. TotalCard, a complete campus card privilege system designed for management of all activities, transactions and privileges on a college campus, was a natural fit to our growing product portfolio. The corporate office team provides support to our national dealer channel and customer base, but also offers best in class onsite service and support to customers throughout Mississippi with solutions that include ID Badging, Access Control, Visitor Tracking, Metal Tag Machines, Casino Card Printers, Driver’s License Scanning, Video Surveillance and more.